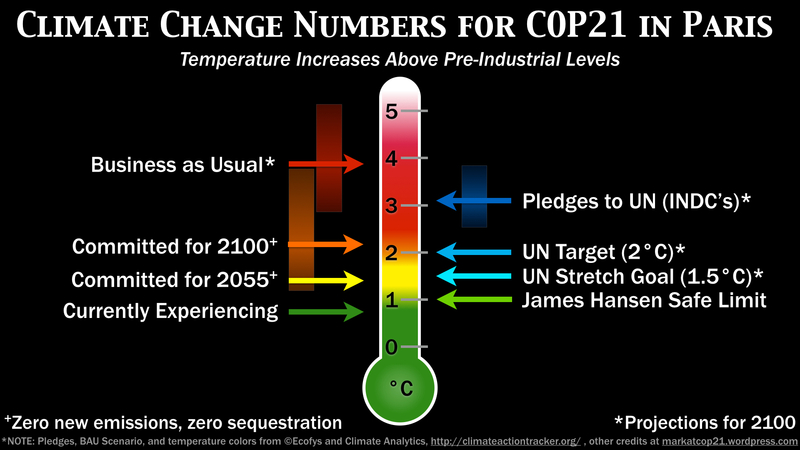 UN framework on Climate Change 2015 held in Paris, France. The 196 member nations pledged to reduced the carbon emission to counter the adverse affects of Global Warming. The main objective of the annual Conference of Parties (COP) which was entered into force on 21, March, 1994, is to review the Convention’s implementation. The first COP took place in Berlin in 1995 and significant meetings since then have included COP3 where the Kyoto Protocol was adopted, COP11 where the Montreal Action Plan was produced, COP15 in Copenhagen where an agreement to success Kyoto Protocol was unfortunately not realised and COP17 in Durban where the Green Climate Fund was created. Paris Convention on Climate Change attended by 25000 official delegates and 196 nations head and pledged to keep the global temperature below 2 degree Celsius and target to reduce the carbon emission and less use of fossil fuels for the energy production. They also stressed on the implementation of accessible and cost-effective technology for renewable energy generation to combat the global warming effects. In this regard, 183 nations have placed their commitments to use clean energy technology to meet power deficiency and economic development and reduce the emission up to 30-35% till 2030. However, there is conflicts between developed and developing nations on taking the equal responsibility on sphere of carbon emission reduction. India wants that national commitments should be consistent with the carbon space nations occupy. Developed countries must fulfill their responsibility to make clean energy available, affordable and accessible to all in the developing world. This is in the collective interest for all nations. India wants the developed countries to mobilize 100 billion US Dollars annually by 2020 for mitigation and adaptation in the developing countries. They must fulfill their commitment in a credible, transparent and meaningful manner. Being the fourth largest polluter, India has placed its plan to reduce the greenhouse gases emission ambitious targets. By 2030, India will reduce emissions intensity per unit GDP by 33-35% per cent of 2005 levels, and 40 per cent of our installed capacity will be from non-fossil fuels. India will achieve it by expanding renewable energy - for, example, by adding 175 Gigawatts of renewable generation by 2022. And, will enlarge its forest cover to absorb at least 2.5 billion tonnes worth of carbon dioxide. Indian PM has launched the International Solar Alliance with French President. It is the alliance of Solar energy rich nations and mostly consists of developing nations who need to utilize their resources of renewable energy and meet the demand of their people. India alone to connect 300 million people with electricity. Hence, required huge investments and innovative and cost-effective technology to install. The Indian government is investing an initial $30m (£20m) in setting up the alliance’s headquarters in India. The eventual goal is to raise $400m from membership fees, and international agencies. India will operate it for five years to collect the long term funds and make the technology available to the developing and solar rich nations to achieve the climate goals. ISA collectively develop, collectively cooperate to build the Three A's technology (available, adaptable, and accessible) to install solar panel or the technology to utilize the solar energy. This is the best way to meet the target to reduce carbon emission and move towards the implementation of renewable energy. This is an alliance that brings together developed and developing countries, governments and industries, laboratories and institutions, in a common enterprise. PM Modi quoted in his speech "We want to bring solar energy into our lives and homes, by making it cheaper, more reliable and easier to connect to grid. We will collaborate on research and innovation. We will share knowledge and exchange best practices. We will cooperate on training and building institutions. We will discuss regulatory issues and promote common standards." Comments "India's plan in Conference of Parties (COP21) meet in Paris"